Mary Jepkosgei Keitany is a Kenyan long distance runner. She is the world recorder holder in a women-only marathon, having won the 2017 London Marathon in a time of 2:17:01. Her half marathon personal best of 1:05:50 is a former women’s world record. She also has held the world record at 10 miles (50:05 minutes), 20 kilometres (1:02:36), and 25 kilometres (1:19:53), all of which were set in road races. 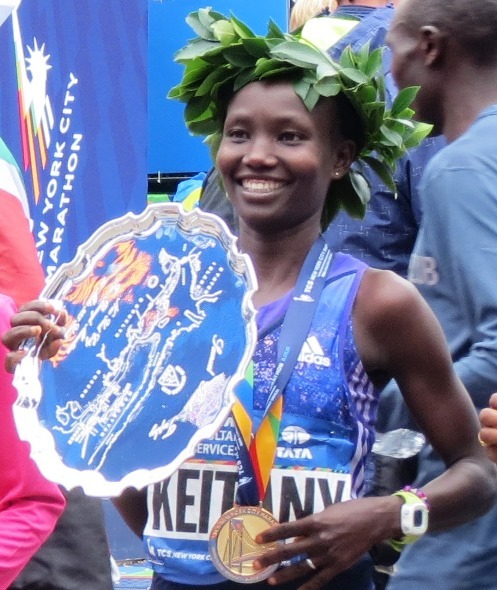 World Record Holder Mary Keitany shares her spectacular journey in this exclusive interview with Namita Nayyar, President Women Fitness. You are known as one of the best women long distance runners, with your personal best of 1:05:50 in the half marathon, being the former women’s world record and having also held the world record in the women’s 10 miles, 20 km, and 25 km. Walk us through your spectacular journey and tell us how it all began? Everything started when I was having my last days at school and was looking at some friends running so I started as well. At the beginning I was not doing much because I did not know much about training but following some other athletes I started to improve. In my first trip outside Kenya I won Seville HM in 2006 in 69’07” and after that in the next 40 days I won 3 of the 6 races I ran and everything started.